Feyter Forklift Services concentrates on the sale, rental and service of forklifts (1-50 tonne), telehandlers, container handling machines, terminal tractors, port equipment and warehouse machines. 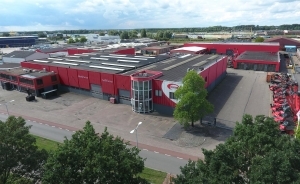 Next to its headquarter in Terneuzen, Netherlands, Feyter has subsidiaries in the port of Vlissingen (also Netherlands), Belgium, Germany and Spain. Feyter Forklift Services is known as a specialist in the field of customer-oriented, made-to-measure items for rental, lease, service contracts and sale- and lease-back operations. The company strives to always be at the forefront with new developments to come up with innovative total logistics solutions. 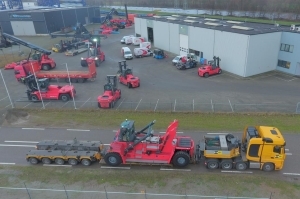 Feyter Forklift Services is specialised in, and has dealerships for very prominent brands like Kalmar, Terberg, Manitou, UniCarriers, Meclift and BYD. With well-equipped workshops, state-of-the-art equipment, highly qualified engineers and over 40 fully equipped service vehicles which are continuously manned by one of our technicians, Feyter Forklift Services guarantees quality care for all equipment. Your enquiry has been sent to Feyter Forklift Services.